TERT the Timpanogos Emergency Response Team will be having their first of two training days at the Utah Valley Regional Medical Center (UVRMC) Training Area (NW Plaza – Clark Auditorium) (500 W 1230 N, Provo) on Saturday, March 26, 2016. For new members it will start at 0800 and for experienced members, it will start at 0900 to 2:00 p.m. The second training day (Outdoor Training) will be on Saturday May 21, 2016 at Aspen Grove theater in the pines. To be on the TERT team you must be reliable, come to the training days, and commit to two weekends (Friday evening to Saturday night or Sunday morning). TERT is a volunteer organization dedicated to keeping small things small on Mount Timpanogos during the summer hiking season. They provide first aid and communications high on the mountain at Emerald Lake and at the Aspen Grove and Timpanokee Trailheads. Visit http://tert.org/ for more details. Cooking with the Sun is easier than you think. Did you know you can bake, broil, grill, roast, sauté, fry, stir fry and even pressure cook with the Power of the Sun – NO FUEL REQUIRED! It’s so easy and fun that solar cooking isn’t just for emergencies anymore. One day super sale at Tattler Reusable Canning Lids! Today only get 50% of every order (canners excluded)! USE COUPON CODE “madness” at checkout. A HAM class is being offered on December 21, 2013. I must limit the size to 40 people so sign up early to reserve a spot. If you must cancel please let me know immediately so I can free up a slot for someone else. If you must cancel please do it as soon as you know you will not be coming to make room for someone else!! One Day Ham Radio Class for the Technician (entry level) license. Our regular readers will remember that last year we reviewed Creek Stuart’s Build the Perfect Bug Out Bag. 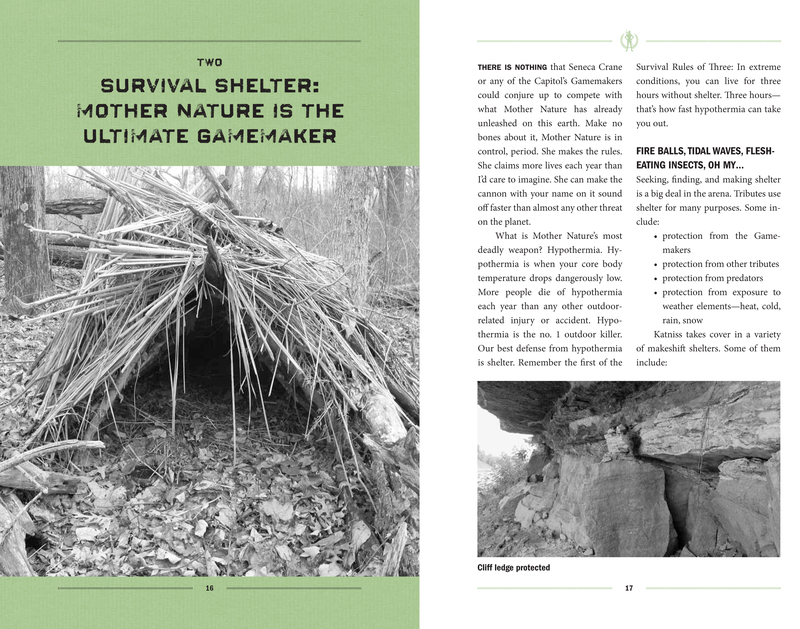 Today Creek’s latest book, The Unoffical Hunger Games Wilderness Survival Guide is being released and we were lucky enough to receive a review copy just in time for this review. Like Creek’s other book, this one is also full of useful information (see the page sample to the right). Let’s dive in and see what we have in store this time. Creek uses details from the Hunger Game book series to illustrate specific preparedness concepts, such as specific situations with individual characters like Katniss or Peeta to relate the skills represented in that fictional scenario with a real world survival or wood craft example. I found this to be a fun and engaging approach for someone who is familiar with the books. This approach may have limited impact for someone who has no knowledge of the characters and why that skill was critical to their survival, or even for someone who only watched the first movie. However, given the title and the suspected audience, I think this has the chance to pull non-preppers in and give them their first exposure to these concepts. I’ve always been interested in Blacksmithing, both as a link to past skills and as a possibly useful prepping skill. Early in 2012 I began looking into how I might be able to start learning this craft. I quickly found ABANA, the Artist Blacksmith Association of North America. As the organization’s name might imply, most people doing blacksmithing today are doing it as an art or for ornamentation purposes. Through ABANA, I was pointed to our local Utah ABANA chapter, the Bonnevile Forge Council. This local chapter has meetings on odd numbered months for its members and those interested in learning about the club and blacksmithing. These meetings are often centered around demonstrations of hands on projects. The club members try to make it less intimidating for newcomers who have never heated metal to 2000 degrees before. I was able to attend the March 2012 meeting and meet many of the club members. I haven’t missed a meeting since. 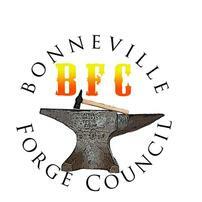 The next meeting for the club will be this coming Saturday in Provo and focuses on teaching forge welding. I hope any of you who are interested will be able to make it out. Please see the meetings link above for details. 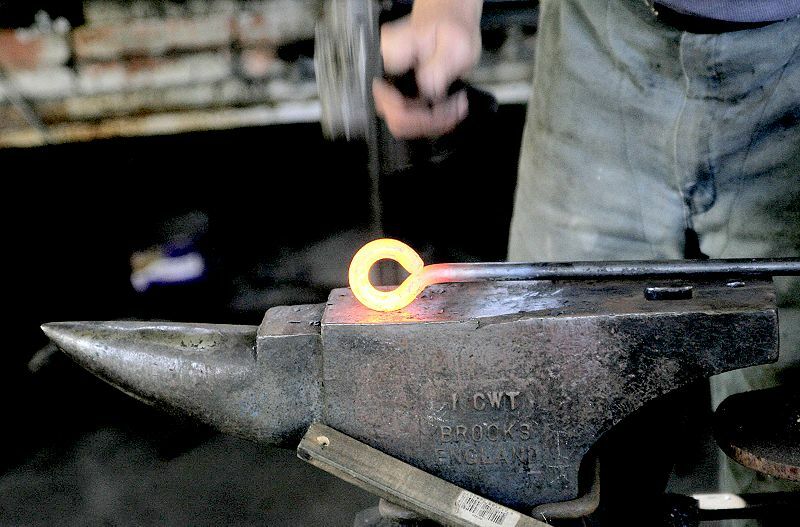 If you are not able to make it to the meeting this weekend, the club president is hosting a short class on making flint strikers which will teach several basic blacksmithing skills. This three hour class will take place the evening of Wednesday, May 15, 2013. More information is here. We recently posted about an all day introductory blacksmithing class taught by the club President and Mark Henderson, both accomplished blacksmiths. I was informed that the class filled up quickly, mainly due to interest from those who heard about the class through this site. I’d like to hear any feedback any attendees have on the class as well as gauge interest in additional introductory classes and other courses of instruction. Introductory Blacksmithing course this month! Back in May, I pre-ordered the book “Build the Perfect Bug Out Bag: Your 72-Hour Disaster Survival Kit”. When it arrived a short time later I read through it and was immediately impressed with the job the author Creek Stewart had done. As I was reading it the thought kept emerging that this book was exactly the sort of detailed how-to that we like to do here at Utah Preppers, but on a larger scale. As it turns out, the book initially started out as a blog post on the art of manliness blog. After receiving a good response, Creek decided to work on expanding the concept into a comprehensive how to guide. Many of our authors have their HAM radio licenses and participate in disaster planning and during real life emergencies such as the recent fires in Utah. Below is an invitation we received for an annual event coming up next month. You are invited to the 2012 Summer ERC Face to Face meeting and picnic. This is a great opportunity to meet those you hear on the ERC Net and talk Face-to-Face. We will have a presentation on Jump Kits by Cory Reilly KE7NRV followed by “Fun with Radio”– please bring a radio and its manual. So that we can plan appropriately we ask that you RSVP (if you are coming) via the form that will be sent to you. This will help us all coordinate the dishes. This year we will have grills fired up so bring your own meat or main course item and a side dish to share (salad, veg. tray, chips, drinks or dessert — somewhat organized pot-luck). Plan on enough for 2 to 4 times the number coming in your party. I work near a Sam’s Club and sometime head over for a lunchtime visit. It is hard to beat a Polish Dog and soda at $1.50 for lunchtime frugality. While I am there I often browse through the store to see what seasonal items are on display. Over the last couple months I’ve noticed a few preparedness items at local Sam’s Clubs. A few weeks ago, NBC released the trailer for a preparedness related show coming to NBC this fall. 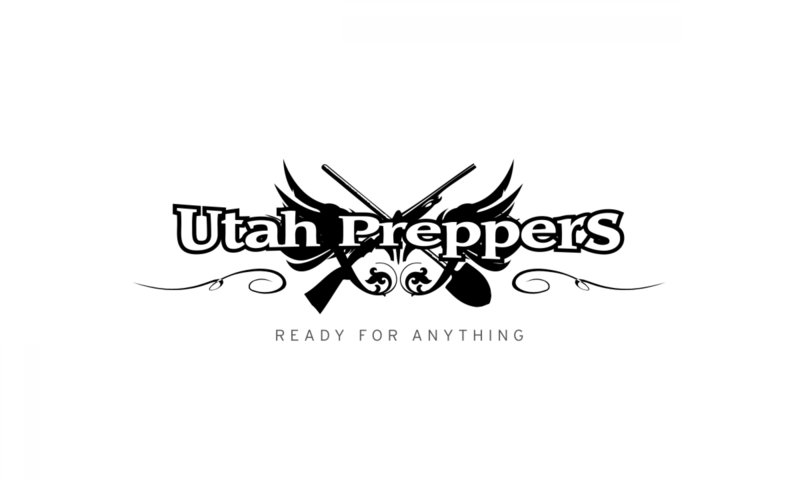 It is titled Revolution and we at Utah Preppers are excited that another show with prepping overtones has been green lit for prime time. I don’t want to give too much away so watch the trailer below and let us know what you think. Will this get a rabid fan following like Jericho?